What do dog handlers and horse riders have in common? Pictured; Dr.Klimke the great German rider. 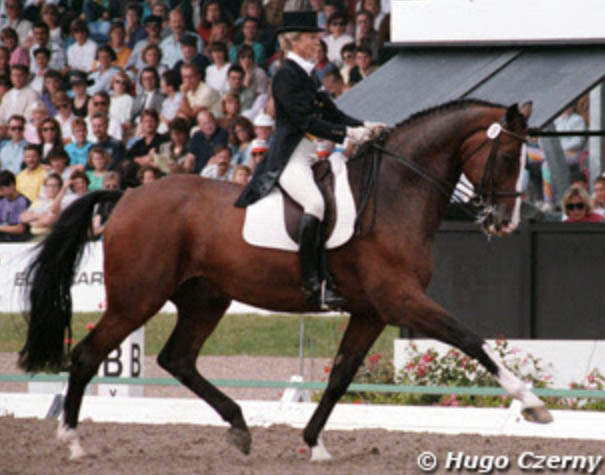 Have you ever watched Grand Prix dressage? A few years ago there was a lady who won the individual gold medal at the 1976 Olympic Games in Montreal, Canada. She also won gold at the World Championships in 1978. Her name was Christine Stuckleberger from Switzerland. She stood just 1.62m (5’4”) tall and weighed only 48kgs (106lbs). A world champion Chistine Stukleberger. 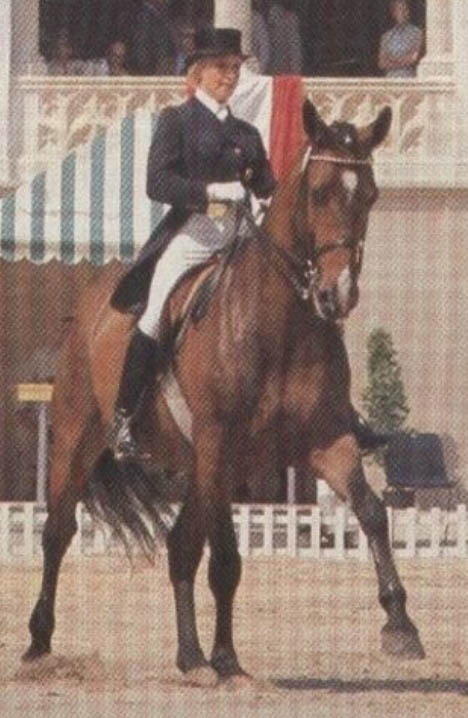 Throughout the 1970s, she would climb on top of an 18.2hh Holsteiner by the name of Granat. Granat weighed nearly three quarters of a tonne; he was a huge animal, a total package of large bone and muscle who gleamed in the sunlight highlighting his superb preparation and condition. 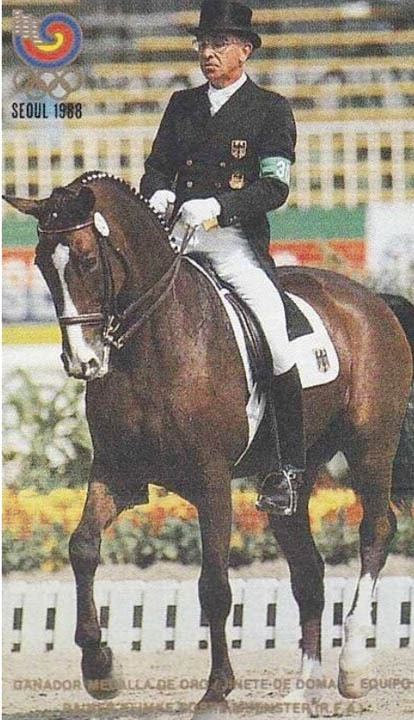 In an arena of 20×60 metres (66’x197’), Stuckleberger could command this animal to perform the pirouette, piaffe, passage, flying changes; extend his trot and canter before coming to a perfect halt without moving a single hoof. Yet, to the untrained eye, she seemingly did nothing at all. With the deftness of touch. However, if one watches very closely, you can see her make barely perceptible movements with her hands, legs and seat. With the deftness of touch she had the horse willingly follow her signals and carried out the various natural tasks asked of him. The reason that I’ve painted this picture of a petite lady atop this giant, powerful horse is to demonstrate that it’s not strength or force that’s important when training or handling animals. As this example shows, if Granat didn’t want to do what Stukleberger wanted her to, then there was no way that she could make him. And, while many of our dogs are smaller than us, exactly the same principles apply. Artificial aids such as bits, spurs, crops, martingales etc. With just these aids, horse riders can educate their steeds to perform any movement they require within the capacity of the horses’ natural ability. However, as handlers, we don’t ‘ride’ our dogs and, as a result, we don’t have the same range of signals or aids as horse riders do, but we still have some. When applied with the same consistency and discipline that horse riders use to train horses, these aids can enable dog handlers to communicate with our dogs in a similar way to perform required tasks without ever needing to resort to force. Learn these skills and not only will you be a happier handler but your dog will be forever grateful. As I horse owner, I completly agree. The most subtle cues and aids can cause an explosion of power and performance. I am currently working on this same theory with the canine. As I found with the horse, when I have a problem it is me. Darla, you are a handler after my own heart. I learnt so much as to why my unique way of handling worked through riding and studying horses. Good luck in the future and thank you for your comments, appreciated.